Mondays at 9am EST.- Posts related to Homemaking, Motherhood, Meal Planning, Recipes, Christian Faith, Encouraging Words, Homeschooling Financial Stewardship, Health & Wellness, and more. Mondays- Topics may include homemaking, homeschooling, natural living, personal wellness, family-life, attachment parenting, working with or parenting children with “special needs,” etc. 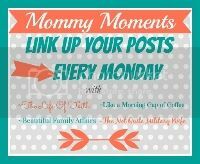 Mondays at 8am EST.- Link up your family friendly posts. 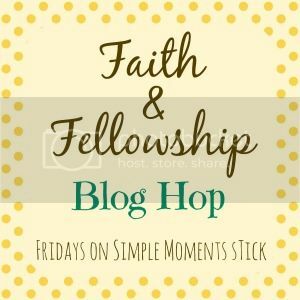 Mondays at 9am EST.- Share posts about anything concerning being a godly feminine woman. 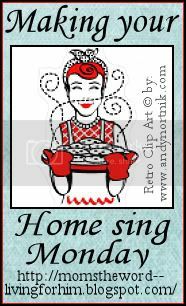 Topics include: modesty, being a wife, mother, homeschooler, homemaker, cooking, sewing, etc. Mondays- Share encouragement about being a child of God, being a wife, mothering, homemaking, homeschooling, recipes, etc. Truly anything that would encourage another is acceptable. Mondays- Post can include anything related to mommy-hood, children, homemaking, pregnancy etc. 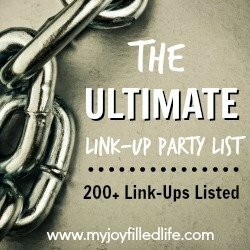 If you aren’t a mom yet, feel free to link up your preparation for motherhood, your journey as you try to conceive, or even a post that would be encouraging to the other moms in the party! Mondays- Topics can include marriage, parenting, encouraging women, organization, cleaning, saving money, our behavior and attitudes, homemaking, homeschooling, recipes and more. Thursdays-This link-up is for any and all things pertaining to Biblical womanhood! 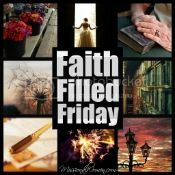 Fridays-Post from the week that shares what the Lord’s been doing in your life or speaking to you. Visit Ask's profile on Pinterest.